I’ve been very remiss in reporting back about the fabulous Continuum 8 last weekend, and I hope to rectify that very soon, but here’s a little podcast I wanted to get up ASAP. Because of the convention, a whole bunch of normally interstate folks were in Melbourne and so it was deemed an appropriate opportunity for most of the Twelve Planet authors to get together and record an interview. There were nine of us altogether, as well as our indomitable publisher, Alisa Krasnostein, and Ian Mond very kindly volunteered to host and ask questions. 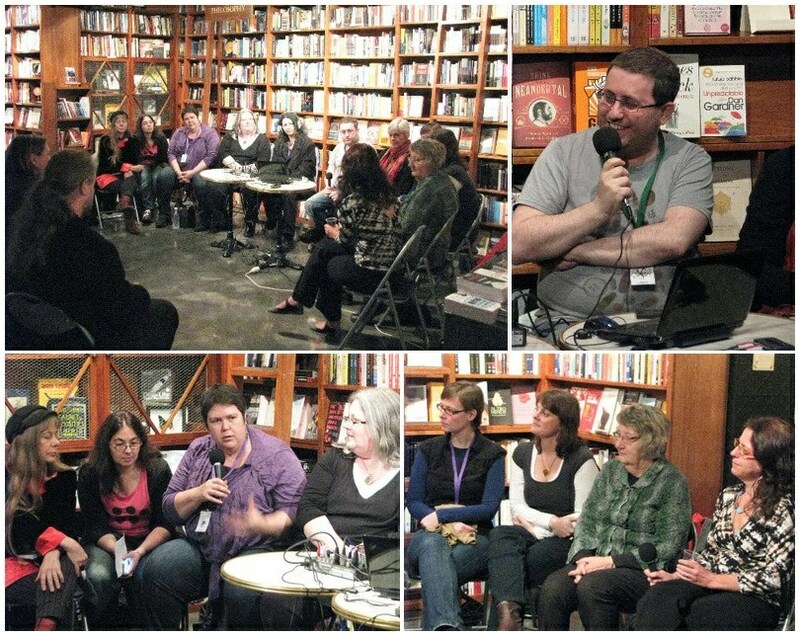 The podcast was recorded at Embiggen Books, which I am ashamed to say I had not previously visited, and which I am somewhat fearful to say I will now visit a little too often … It was great fun to catch up with everyone, if somewhat daunting to be in the same room as all these tremendously talented women! Anyway, the podcast is now available for direct download and streaming from the website or via subscription from iTunes. Hope you enjoy it! In collaboration with Twelfth Planet Press and recorded live at the beautiful Embiggen Books in Melbourne, The Writer and the Critic is delighted to present a special podcast dedicated to the critically acclaimed Twelve Planets series of short story collections. Join host Ian Mond as he interviews Twelve Planet authors Deborah Biancotti, Narrelle M. Harris, Deborah Kalin, Margo Lanagan, Rosaleen Love, Kirstyn McDermott, Tansy Rayner Roberts, Lucy Sussex and Kaaron Warren, along with publisher Alisa Krasnostein. It’s a fun, informal conversation which — and this is how you know it’s not an official Writer and Critic episode — goes for less than 50 minutes! You’re welcome. 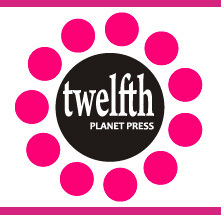 The Twelve Planets are twelve boutique collections by some of Australia’s finest short story writers. Varied across genre and style, each collection will offer four short stories and a unique glimpse into worlds fashioned by some of our favourite storytellers. Each author has taken the brief of 4 stories and up to 40 000 words in their own direction. Some are quartet suites of linked stories. Others are tasters of the range and style of the writer. Each release will bring something unexpected to our subscriber’s mailboxes. I hadn’t been to Embiggen Books before either, but I will definitely going back! It’s a gorgeous store!